Today I have a musical giveaway to share with you. 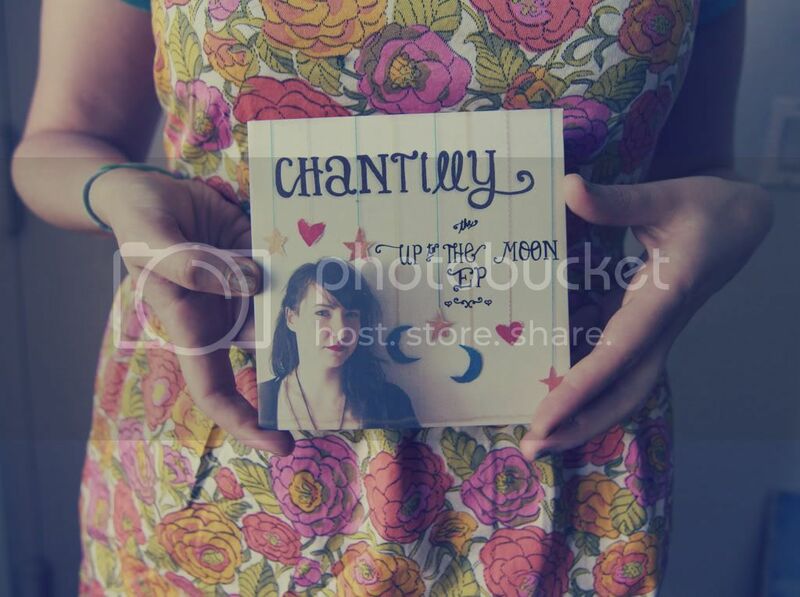 My pal Chantilly just released her new EP Up to the Moon (which I love by the way!) and today she is offering up a prize pack that includes that and some other goodies! :: A 5x7, 55 page kraft paper journal, hand-stamped with lyrics from the song "Escape". :: Visit Chantilly's bandcamp page, listen to the songs and let me know which one is your favourite! It's a tough choice, I think my favourite is "Escape". 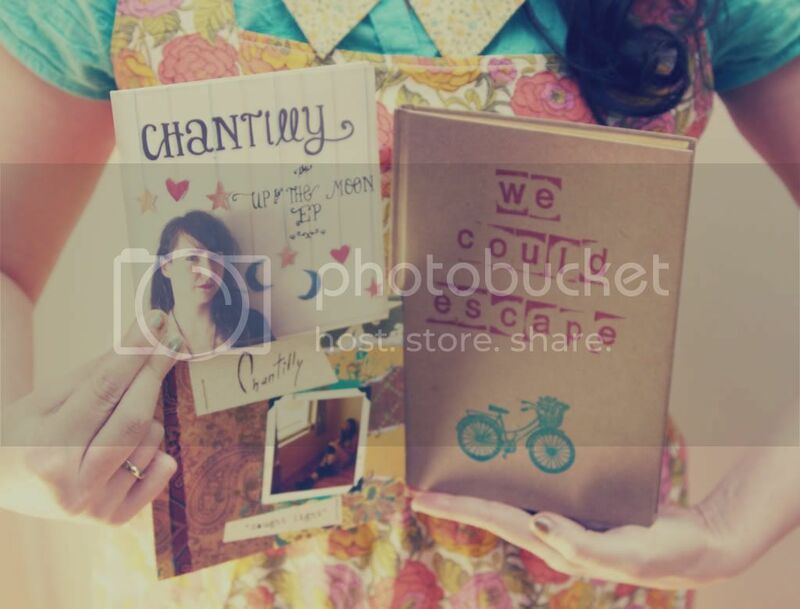 :: Visit Chantilly's blog and say hello! I hear there's a party going on over there today and you're invited. Follow along if you like what you see. :: Follow Chantilly on Twitter. The giveaway winner will be announced on April 24th! Good luck! My favourite is Just The Way You Are - I've had it on my phone for a few weeks now and just keep playing it over and over lol. I am following her on twitter. so excited about getting updates! I think "Just The Way You Are" is my favourite, I just love the lyrics!! They're all really fabulous though, love this whole EP! 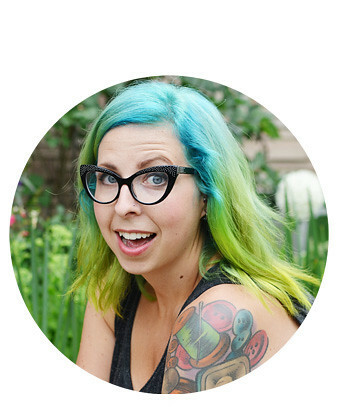 I ran over to her blog and said howdy but I now have to follow her via bloglovin' because I am already a fan! I am in love with Escape but Just The Way You Are I think has to be my favorite. Listened, and I love them all! Just the Way You Are might be my favorite though. I really like the song called Escape! Thank you! Hi there, I left some love on her blog - I've actually been following her for a short while already. Man, I am just so in love with the 'In the War' song! Wow. And I don't have a twitter - I got rid of mine. I'd love to win! :) Thank you for the chance - thank both of you! i like "just the way you are"
and i already follow chantilly!! Too gorgeous & great timing-- I was just musing on my blog about how the internet & blogging community can impact independent artists and musicians! well it's a tie between Escape and Just the Way You Are. but I love ties! I'm gonna have to go with "In the War" but they're all good! I spent the entire time dancing in circles, with my girlfriend to "Escape" and making out like two crazy teenagers to "What You Do to Me." Going to buy this album as soon as possible! Wow, what a gorgeous voice she has! I have to agree, I really like Escape as well. Don't Wanna Wait is a close second! Her voice is so lovely. I think my favorite has to be In The War but they are all lovely. I'm hooked. Favorite song would have to be "What You Do to Me." Such a beautiful melody and love her voice. If I don't win (crossing fingers!) will have to pick this up! Escape is also my favorite song & the first one of hers that I've ever listened to. i follow chantilly on twitter. visited chantilly's blog, commented & now follow her on gfc & bloglovin. I LOVE the song "Escape"!!! i love "just the way you are." lovely songs!